Welcome to Renewal by Andersen of Northeast PA, the company you can trust for window and door replacement anywhere in Scranton, Clarks Summit, Old Forge, Pittston, Wilkes-Barre and surrounding communities. We are proud to be a Renewal by Andersen Corporation affiliate. Renewal by Andersen® is widely regarded as the premier custom window replacement company in the nation. It’s a brand that has been built on trust and customer service over the course of a century, and Renewal by Andersen of Northeast PA shares its commitment to business excellence. At Renewal by Andersen of Northeast PA, we value the relationship we establish with our customers in Scranton from the moment they contact us about window and door replacement. We strive to offer customized solutions for each client, because every home is different and we want new windows and doors to result in maximum beauty, value and effectiveness. We will be here through the selection, measurement and installation process, working with you every step of the way. Renewal by Andersen of Northeast PA installers are professionals of the highest caliber. They are master craftsmen who take pride in their work and will demonstrate respect for you, your home and your time. Our installers are expected to leave your Scranton home better than they found it by removing all debris from your floor, carpets, yard and driveway. All that will be left behind are beautiful, sparkling new windows and doors. In addition to a generous warranty covering materials and manufacturing defects, Renewal by Andersen also includes a two-year limited warranty on our installers’ workmanship. To ensure they remain the best at what they do, our installers undergo ongoing education in best practices, lead paint training, safety training and more. Renewal by Andersen of Northeast PA looks forward to delighting you with expert installation of quality Renewal by Andersen products anywhere in Lackawanna County. 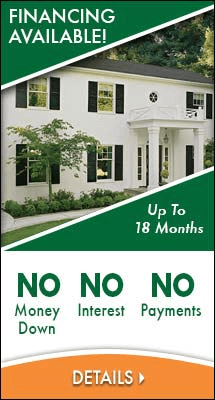 Call (610) 355-4055 today to schedule an in-home consultation for windows and patio doors in Scranton!